"The public policy objective of the Cap and Trade Program is to reduce GHG emissions"
I try to keep these posts dispassionate summaries of recent articles that interested me, but with requisite editorializing to connect the articles. Rosemarie LeClair should be terminated, with cause, from employment at the Ontario Energy Board. The report notes monthly "delivery" charges associated with baseboard heating are $66/month. The report also notes the impact of the global adjustment, without noting pricing has been so complex the system operator can't provide a coherent answer on the average rate they pay to generators. If they noted their third listed contributor to high costs in rural Ontario, conservation, would make more sense - if the IESO understood what was driving costs, and the "I" belonged in their name, they wouldn't be spending so much on conservation. Of course "conservation" spending is one small cost driver sending rates higher. ...Many millions, indeed billions, of dollars are being extracted from customers and taxpayers to fund rising electricity costs. Is it paying for research and development into electricity storage so that perhaps one day, intermittent generating sources (i.e. wind and solar) might serve a useful purpose? Is it being used to offset the hardship faced by low income Ontarians? Is it funding Ontario infrastructure development or green transit plans? No, no and no. As it turns out, much of this money is going into the pockets of a few developers, investors, pension funds and corporations. It’s called profit—and a handful of companies are profiting handsomely from your electricity bills. 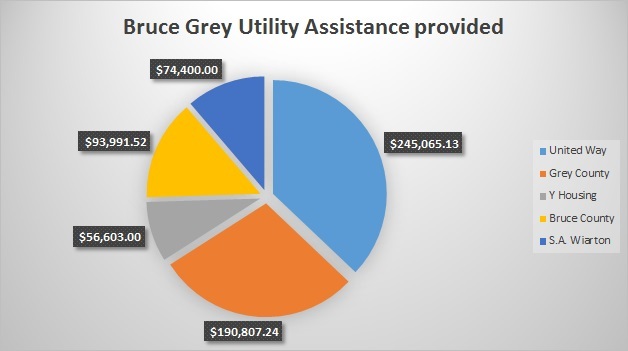 Scott Luft has been poring over the mounds of data produced by the Independent Electricity System Operator (IESO) and other sources for the past six years. Luft’s research and analysis, compiled on his website coldair.luftonline.net, is an important resource for anyone interested in understanding what has gone so terribly wrong with Ontario’s electricity market. Thanks for reading Mr. Conroy - and the reference! The post where I calculate the "subsidy" noted in the Times (Wellington) is The growing subsidy of wind and solar in Ontario. On April 2, 2015, the Ontario Energy Board (OEB) issued a new rate design policy that will change the way local distributors bill their residential customers. Distribution charges, currently a blend of fixed and variable (per kilowatt-hour) rates will be an entirely fixed monthly service charge by 2019. ...this is paying for a service, and the regulator is allowing all providers to move to charging for the service by the service – and not through a rate per unit actually consumed. Already a portion of all charges is fixed, and this is not true simply for electricity . If I used no natural gas for 3 months, I’d pay about $65. It costs a certain amount to have the service available and that’s what the charge is for, and it’s what the charge should be for. mea culpa - I should not have been flip about terminology. If nothing is delivered, the bill should not contain charges listed as delivery. People are needlessly angered because the OEB allows - and now encourages - illiteracy in billing. Today's OEB illiteracy is not on the electricity file they've done so little to protect consumers on (I did recently write something on that here), but natural gas distribution service - and carbon pricing. Having determined that there should be two volumetric charges related to the recovery of approved Cap and Trade costs, the next issue for determination is how these rates should be reflected on customers’ natural gas bills. The OEB has determined that charges related to the recovery of Cap and Trade Program costs will be included in the Delivery charge on the bill. Adding volumetric charges on the delivery line of natural gas bills is the opposite of what the same OEB intends to do on electricity - which is one indication they are delivering a bad policy. In the OEB’s view, separating out Cap and Trade related costs as a line item on the bill is inconsistent with the manner in which all other ongoing costs of operating the utility are reflected on the bill. The public policy objective of the Cap and Trade Program is to reduce GHG emissions. For the vast majority of customers, a separate line item will not provide any form of meaningful price signal. We demonstrate that the carbon tax imposed by the Canadian province of British Columbia, a unique carbon pricing policy that comprehensively applies to all fossil fuels, caused a decline in short-run gasoline demand that is significantly greater than would be expected from an equivalent increase in the market price of gasoline. The OEB ruling demonstrates no expertise, on charging consumers,usage of the English language, or carbon pricing and demand theory. It's bad - so bad it indicates an organization that has lost its interest in the end consumer. Rosemarie LeClair should be replaced with a literate, numerate, educated consumer advocate. I've started getting mail from my local distribution company for electricity (Hydro One). It's a real change for me since I've been on electronic billing for just shy of a decade. I'd not only be surprised if there's 100 occupied nearby 2000 square ft. homes that are heated by electricity, but that the noble personages could do so on only 939 kWh - although it was, mostly, for June, so the heating of air wasn't a big deal. While Hydro One wants me to know I'm a schmuck over the most recent period, they also let me know how I've done compared to last year. I've had a lovely natural gas furnace for the past few winters, but even if I didn't I'm not sure why "Last year's usage may be adjusted due to variations in weather." I can figure out if winter was mild or not. I can also tell, from my hourly usage data, exactly how I've done for the first 6 months of each year since Hydro One started capturing the smart meter data in 2010. My actual usage for the first half of 2016 was 4 kWh lower than in 2015 - and it's a leap year:! Can you tell when I got my gas installed? Being only a recovering greenie, I couldn't get myself to dump my electric water tank when I brought natural gas into the house - but I do have a pretty good idea how much of my usage was due to heating water, and how much the installed gas tank replacement costs, and how the savings will look monthly. Apparently Hydro One wants me running those numbers through my head more urgently - factoring in becoming superior to my neighbours by feigning low energy use with my electricity bill. I'd just like Hydro One to stop littering. Hiding the cap and trade costs received more attention than I'd anticipated. Some of that attention was in press conferences pressing the Energy Minister on the topic. A legal column written by Ian A. Mondrow explains why the political answers were correct (passing the buck to the OEB) - and why the OEB's ruling is poor. It doesn't call for the dismissal of the head of the OEB, but I don't see how the hypocrisy of preaching transparency while hiding costs will allow much confidence to be placed in the regulator. What the OEB wrote reads more like a defence of blending the cap and trade costs than reasons for doing so. The impression left is that blending of the costs was the starting point, rather than a reasoned determination. Given the sparseness of the OEB’s written reasons, it is not possible to understand why the OEB concluded that it would be better to blend cap and trade costs into the delivery charge line than to present them separately on the bill. Whatever reasons the OEB might have for its determination, they are not reflected in the discussion released by the regulator. The gap in the reasoning provided leaves plenty of room for the concern and unease in the stakeholder community that the determination was not in fact a judicious, non-political and reasoned one. From the regulator’s perspective, and that of the government which advocates and relies on the regulator’s independence, this should be a significant concern.